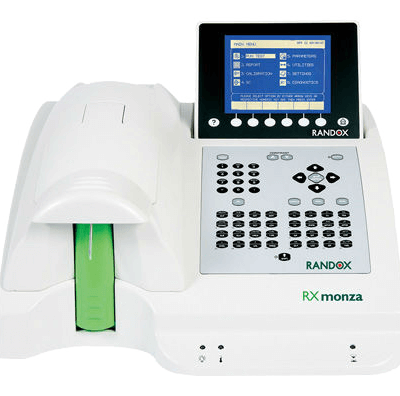 RX monza is a compact semi-automated clinical chemistry analyser with all the functionality of a much larger, fully automated instrument. The flexibility of performing clinical chemistry or coagulation testing and the RX Series test menu ensure complete patient profiling, while opening new and exciting opportunities for routine and specialised testing. Versatile, easy to use software provides step by step instructions and easy to follow reports, ensuring RX monza provides a consistent user performance, delivering accurate results you can depend on.